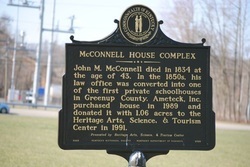 The McConnell House is located just off of US 23 in Wurtland, Ky. Completed in 1834, by master craftsmen with the help of enslaved workers, it was only lived in by it's original owner for a few weeks before he passed away. The house was built as a four room farm house with several buildings sitting adjacent on the property including a coal house and a one room brick law office. The breathtaking woodwork inside of the house was acquired from an old hotel down the river quite a ways in Louisville, Ky and put to good use as it ornaments the interior of this Pre-Civil War Era home. The farm was a southern plantation type of home which means that it was a part of the central issue that caused the United States to divide and that would ultimately plunge a split nation into a 5 year long horrific war. The house has switched hands several times through out the years and is now owned and operated by the Heritage Arts, Science and Tourism Center. The historic landmark has survived almost 200 years of inclement weather, a civil war, severe neglect and almost any other obstacle that could be thrown at it. The property is now being restored and is available to tour as well as being available to rent for private functions. 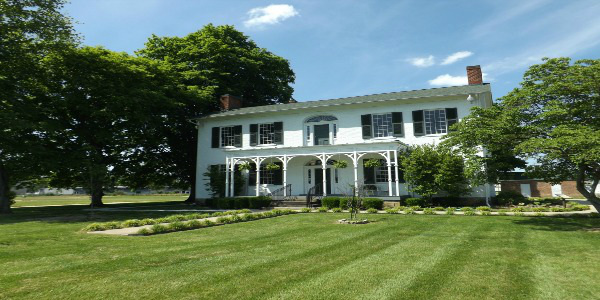 Please tour our web site and come see us at The Historic McConnell House! Click play below to watch the Official McConnell House Promotional Video. Learn how to make yourself, your family or your business McConnell House Members! Visit The McConnell House Store for great souvenirs for yourself or wonderful gifts for your loved ones! Learn how you can support The McConnell house and how to become a part of this historic home!